why do i even need a wedding planner? Well picture this, a beautiful and perfect day, you're walking down the aisle to the man of your dreams, and then BOOM! Your veil blows off. Do you reach down to re-attach it? Not convincing? Well you've reserved transportation, everything is on time, then BOOM! The car breaks down, backup won't arrive for thirty minutes, and your wedding starts in ten! 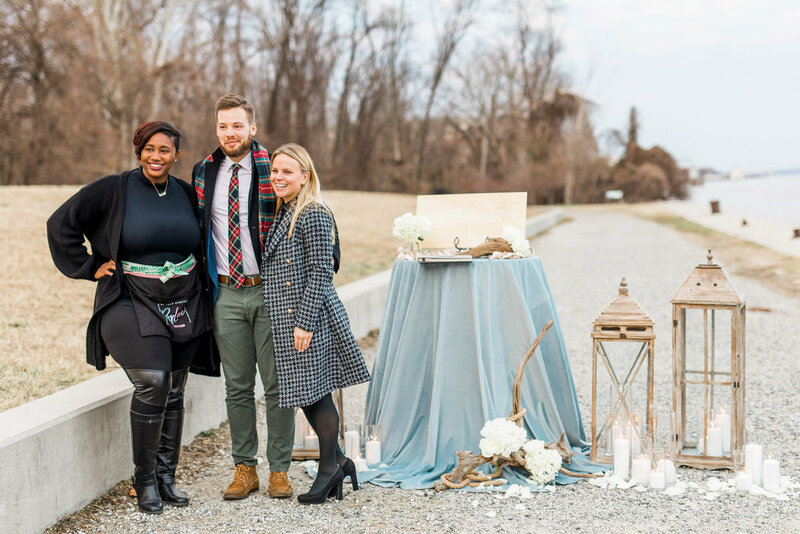 Wedding planners are equipped to handle all of those "WTF" moments! We're prepared! Weddings are tricky, the variables are unpredictable, and you aren't truly prepared unless you hire the ultimate backup plan, US! Our number one piece of advice is to always hire a professional! Would you trust Aunt Linda to do your root canal after watching a few videos on YouTube? Just as you hire doctors and mechanics, a wedding planner is an expert, dedicated to managing one of the most important days of your life! Weddings are a pretty big deal, and lets face it, can be pretty intimidating! You want someone who will be with you every step of the way, to keep you on track when it comes to budgeting and scheduling for your dream day. Planning a wedding should be FUN, and as stress-free as possible! Our ultimate goal is to ease your worries, and ensure you have a flawlessly executed wedding EXPERIENCE! Absolutely not! We pride ourselves on providing planning for ALL. We RECOMMEND a total wedding investment of at least $15,000; but who are we to determine the cost of your wedding day. Our service always comes with honesty and understanding, just know we have your back! do you offer hourly planning? Yes! Contact us for more information on our hourly rate! Ahh yeah! Our passports are packed and ready to go!